After 20 years, the wheels are very much still turning on the Funkiest orchestra that Japan has to offer. Merged from a university combo to one of the world’s leading group in the genre. The aim of the group still remains the same; that is to play Just – plain – Funk. 9 musicians in sharp uniforms inspired by 60s fashion; trumpets are spinning up in the air; leader Nakata dancing “Mashed Potato”; from jumpin’ Bebop instrumentals to James Brown funky dancers. Having toured top venues and nightclubs in Europe and Japan for many years, OM are celebrating its two decade anniversary this year (2012.) Still, a lot of more to come in the year: North American debut tour appearing a couple of popular Jazz festivals in Quebec, Canada in July; European Jazz/Rock festival circuit in June/July. The first European tour in April (24 shows in 8 countries) was already a big success launching the new album “State of the World” on Unique Records. Formed in 1992 when Nakata was a university student, the group was named after the 1975 Funk classic, It’s The J.B.’s Monaurail by the J.B.’s. (misspelling intentional.) OM originally held more than 20 people including many horn players from the same Jazz club at the university, but soon the band shaped itself up into a 13 piece group. After a couple of school concerts, they started to play local bars & nightclubs in Osaka circa 1994-1995. Signed to RD Records in 1999, OM released its first album “What it is – What it is” (2000) and 3 more albums. After the 4 albums, they went on to sign with P-Vine Records for 4 albums and most recently with King Records for the latest album “State of the World”. OM is known for its works in motion picture field as well. In 1999 Nakata bought theatrical rights for two movies: Superfly (1972) and Coffy (1973), and released them June 2000 in 17 theaters across Japan. As an indie movie distributor he collected approximately 6 million yen from friends/investors to distribute the two films to theaters after almost 30 years after their original releases. They went onto video for the first time ever in Japan. Nakata was also involved in distributing some more movies: “When We Were Kings” (1997), “Soul To Soul” (1971), “Sweet Sweetback’s Badasssss Song” (1971), “Badasssss” (2004), “Soul Power” (2009) and most recently “Edification of Weldon Irvine” (1976). In summer 2006 Osaka Monaurail toured 6 cities in Japan as backing band for a Soul legend, Marva Whitney, one of James Brown’s Original Funky Divas. Her hits include many Funk classics such as “It’s My Thing”, “Unwind Yourself”, “Sunny” and “You’ve Gotta Have A Job” (duet with Mr. JB). The chemistry was so great that they end up one of the most exciting collaborations in Funk today leaving two albums (one studio entitled “I Am What I Am” and one live), three European tours and two Japanese tours, including famous Fuji Rock Festival, until today. After 20 years, Osaka Monaurail hits the biggest festivals in Japan, Europe and North America. After all, as leader Nakata says, “…the Japanese kids’ long journey of learning how to play Funk/Soul/Jazz never ends”. 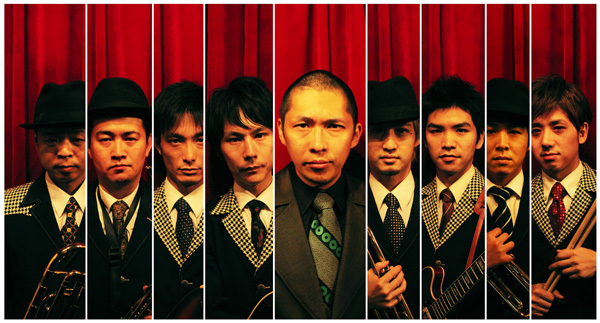 The current lineup is Ryo Nakata (vocal/keyboards/percussions), Kentaro Yamagata & Yohchi Masago (trumpets), Shimon Mukai (tenor saxophone), Katsutoshi Hiraishi (trombone), Dan Hayami & Yuichi Ikeda (guitars), Dai Nakamura (bass) and Soki Kimura (drums).